In fact, research has shown that insecure land tenure is linked to poor land use as communities have fewer incentives to invest in long-term protective measures, thus contributing to environmental degradation. “Establishing secure tenure and secure rights to territory and resources for indigenous people and local communities is one of the most important things we can do around achieving positive outcomes for conservation,” said Erin Myers Madeira who leads the Nature Conservancy’s Global Programme on Indigenous Peoples and Local Communities. 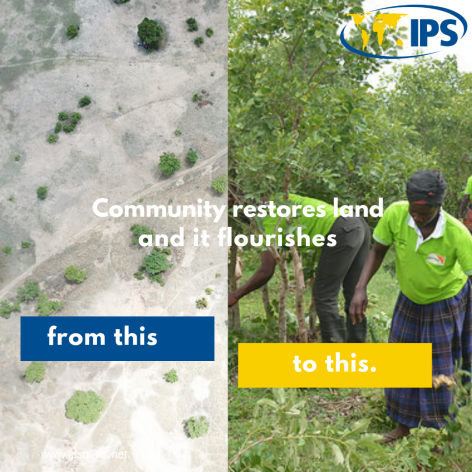 “Communities outperform the government, other stakeholders in stopping deforestation and degradation,” she added to IPS. Despite holding customary rights to more than half of the earth’s lands, indigenous people and local communities legally own only a 10 percent slice. Resources and Rights also found the legal recognition of community forest tenure rights also still remains adequate, amounting to just over 14 percent of forest area as of 2017. While this is partially a result of a lack of government policies, land grabs by companies which fail to acknowledge communities’ ancestral lands are increasingly common around the world. In 2006, 200 families lost access to their land in Cambodia’s Sre Ambel district to make way for a sugar plantation. In Liberia, Liberian farmers were evicted after the government allocated 350,000 hectares to Malaysian multinational corporation Sime Darby, causing widespread resentment and conflict in the area. According to the United Nations Convention to Combat Desertification (UNCCD), 35 percent of the remaining available cropland across Africa has been acquired by large entities, with over 70 million hectares allotted for biofuels. Many have put up a fight against the expanse but it came with a deadly cost. According to Global Witness, a record 201 environmental defenders were killed in 2017 trying to protect their land from mining, agribusiness, and other industries. Karina Kloos Yeatman, the Women’s Land Rights Campaign Director at Landesa, highlighted the importance of people-led conservation and sustainable land management but the first step is land rights. “If we aren’t looking forward and thinking about land use and land tenure security and finding more solutions to help people make long term investments to sustainably use their land, we are going to continue to see an even larger influx of climate migrants and people being displaced,” she told IPS. 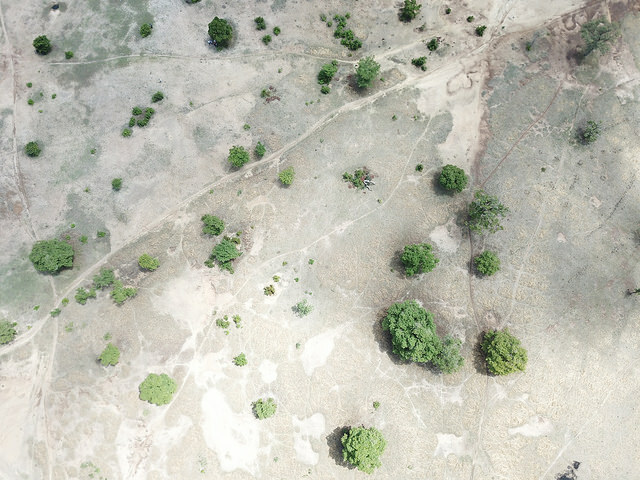 Yeatman particularly pointed to successes of how secure lands rights have led to increase long-term investments in sustainable soil and forestry management. For instance, smallholder farmers with secure rights in Ethiopia were 60 percent more likely to invest in soil erosion prevention. In forests where indigenous land rights have been recognised, deforestation rates have dramatically declined. In Bolivia, deforestation is 2.8 times lower within tenure-secure indigenous lands. This has not only helped halt land degradation, but such measures have also mitigated forest-based emissions and curbed global warming. Both Yeatman and Madeira noted that land rights alone is not enough to promote sustainable land management, but rather four pillars. These are securing the rights to territories and resources; support strong community leadership and local governance; promoting multi stakeholder collaborations, allowing local communities to engage in high levels of decision-making and; identifying environmentally sustainable economic development opportunities in line with communities’ cultural values and sustainable management. “It’s when you have the four of those ingredients that is when you end up with enduring conservation, communities who have the power to protect those peoples and who can also benefit economically from their stewardship of those places,” Madeira said. In an effort to curb logging and deforestation, Peru’s Shipibo-Conibo indigenous communities residing in the Amazon enlisted over 6,000 hectares—80 percent of their territory—into the country’s conservation programme and helps manage the land in a way that provides sustainable sources of income. A significant proportion of the money received is thus invested back into the forest and its communities who engage in activities such as ecotourism and the sustainable extraction of forest resources. While tenure can look different in various contexts, Madeira highlighted the importance of governments and companies respecting land rights as well as the inclusion of indigenous people and local communities to shape sustainable land management planning. “A lot of the development decisions are made far away from the ground in board rooms. The extent to which indigenous people and local communities are excluded from those decisions, you’re going to get these poor outcomes,” she told IPS. 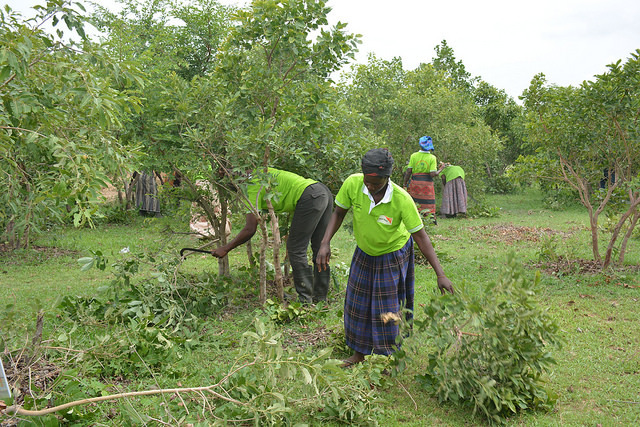 Yeatman urged corporations to be aware of the complexities surrounding land tenure and support local communities to ensure a sustainable future. “[Companies] often have 50-100 year leases and if they want the land to be sustainable, they need to help those farmers secure their land rights and help have access to information and inputs to diversify so that they are not degrading their lands,” she said. Consumers also have a role to play, Yeatman noted, as they delve into the stories behind the products and companies they buy from. Oxfam’s campaign Behind the Brands provides a scorecard, assessing how the world’s 10 largest food and beverage companies are measuring up against a number of indicators including support for women farm workers, reducing greenhouse gas emissions, and respecting rights to and sustainably using land. While it is easier said than done, there have already been positive developments across the world. Most recently, the Malaysian government file a lawsuit against local government of Kelantan state for failing to uphold the land rights of its indigenous people Orang Asli, many of whom lack formal titles, as it continues to grant licenses to logging companies and agricultural plantations. “Rapid deforestation and commercial development have resulted in widespread encroachment into the native territories of the Orang Asli,” Attorney-General Tommy Thomas said in a statement. “Commercial development and the pursuit of profit must not come at the expense of the Temiar Orang Asli and their inherent right, as citizens of this country, to the land and resources which they have traditionally owned and used,” he added. Similarly, Myanmar, which has among the highest rates of deforestation in Asia, plans to transfer over 918,000 hectares of forest land to community management by 2030 in order to help prevent illegal logging and allow traditional residents to practice sustainable forestry. There is still a long way to go but action is necessary to prevent the dwindling of land and natural resources essential for everyone’s survival.